How on earth will you believe that Mark Zuckerberg will delete Facebook his Golden treasure? Why are you scared Mark will make Facebook completely a paid service? Abeg my brother and sister disregard the false information trending on Facebook right now. If you are active on Facebook since yesterday, you should have seen a message and Video about Facebook plan to deactivate or delete accounts who didn't forward a certain message until they pay for the services. According to the message trending on Facebook Messenger, Facebook will soon be a paid platform meaning that without paying certain amount, you won't use it. 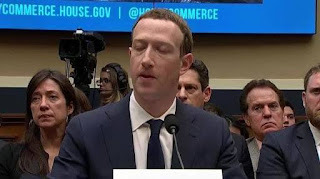 The video also revealed that facebook CEO Mark Zuckerberg is tired and disappointed on how the social media platform is running the life of many people in the world. The video claimed that people now live lonely because of facebook, people lie a lot and live fake life on Facebook. Also, the recent data and privacy issues are giving Mark more pressure to finally decide to delete Facebook..... I laugh. In fact, without wasting much time, read the content of the message below. You can also watch the video here. After that, read further to see the hidden truth and why it's not possible. Yes Zuckerberg is planning on making Facebook a paid service but he also said there will be "free version" which will contain ads while the paid version won't contain ads. So you see, it's not as if Facebook will be completely a paid platform where you must pay in order to use it. Another point is that if even Facebook server is congested, do you think it will be fixed by massive forwarding of messages on the platform? This is really hilarious 😂. Webmasters reading this should be aware that by forwarding of many messages will do more harm than good to the server if it's actually congested as they claim. Lol i can't stop laughing at this nonsense in circulation. So don't believe all the misleading information currently circulating on Facebook. Although Facebook founder is currently in a big mess and some competitors are utilizing this opportunity to damage his reputation but i see him coming out victorious. What do you think? More resources on Facebook issues: cnbc, engadget.